While a 19-5 shot differential doesn’t look good, the first 30 minutes of the Pitt men’s soccer team’s eventual loss to Virginia on Saturday reflected better play for the team. Pitt lost to its third-ranked opponent of the season, as it was unable to match the creativity and offensive ability of Virginia in the 3-0 loss. The Panthers’ best chance came in the 23rd minute, when Matt Bischoff crossed over the Virginia defense and shot from outside the 18-yard box. The ball headed toward the top right-hand corner, but goaltender Calle Brown used his tall frame to tip the shot over the bar for a sprawling save. The Panthers, now 3-4-3 on the season, could not build off of their win against Robert Morris earlier this week. The loss drops them to 0-3-1 in the ACC, only earning one point in the standings in four games. The Cavaliers severely outshot Pitt in the game by a 14-shot disparity that should worry a team that has proven to be offensively insufficient at times. Virginia had several chances at goal in the first half as well but couldn’t convert for the majority of the half inside the box. Although they won the possession battle, the Cavaliers appeared frustrated at their inability to make the right pass in the final third. However, midfielder Todd Wharton saved Virginia from its offensive struggles in the 43rd minute, launching a missile from over 20 yards away past a diving Dan Lynd. Scott Thomsen assisted the goal. The goal was frustrating for the Panthers, as they spent the end of the first half in damage control mode. Asking the team to become more offensively minded in the second half was tough for head coach Joe Luxbacher and the Pitt coaching staff, especially against Virginia, a very compact defensive team. The second half began the way the first ended: with Pitt in defensive scramble mode. The Panthers couldn’t get much going offensively and were forced to try to play balls over the top to a lone forward attempting to track them down. 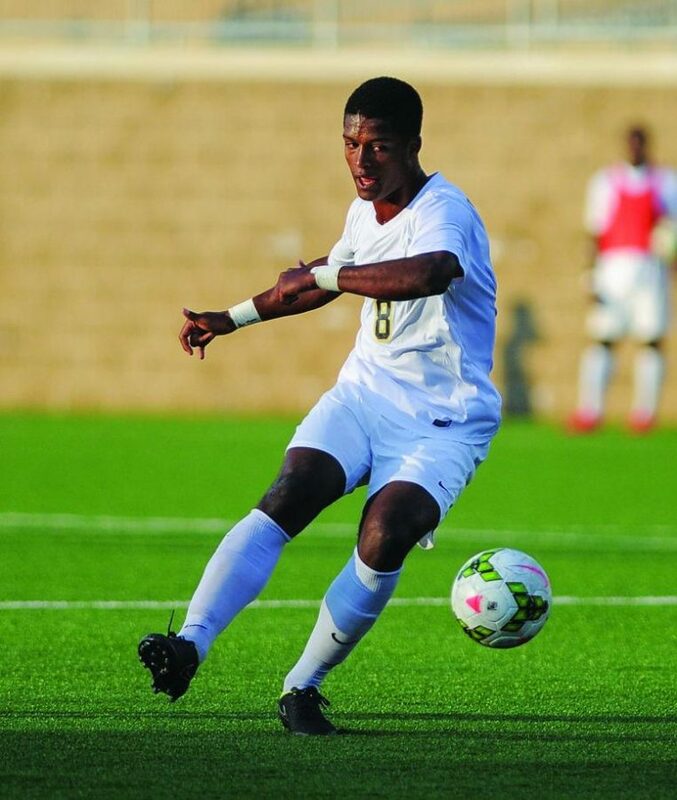 Forward Darius Madison added to the Virginia lead in the 57th minute. Lynd made the first save after Madison streaked through the middle of the defense, but couldn’t make the second as the Virginia forward poked the ball through his legs on the rebound. The Cavaliers’ offense continued to show its flair in the second half, creating several chances through back heels and creative passing. It was a far cry from UVA’s offensive struggles over the past several games, as they made Pitt’s defense look silly at times, and gave them little hope of forming an offensive attack. “They may have pressed us a bit higher. I think our ball movement wasn’t as quick in the second half as it was in the first half,” junior forward Patrick Dixon said. Virginia scored again in the 86th minute to fully put the game away. Forward Nicko Corriveau found the back of the net off of an assist by midfielder Scott Thomsen, ultimately ending any chance the Panthers had for a comeback. The loss is Pitt’s third against a ranked opponent this season, and their 15th straight ACC contest without a win. The team plays next plays at Xavier on Tuesday.